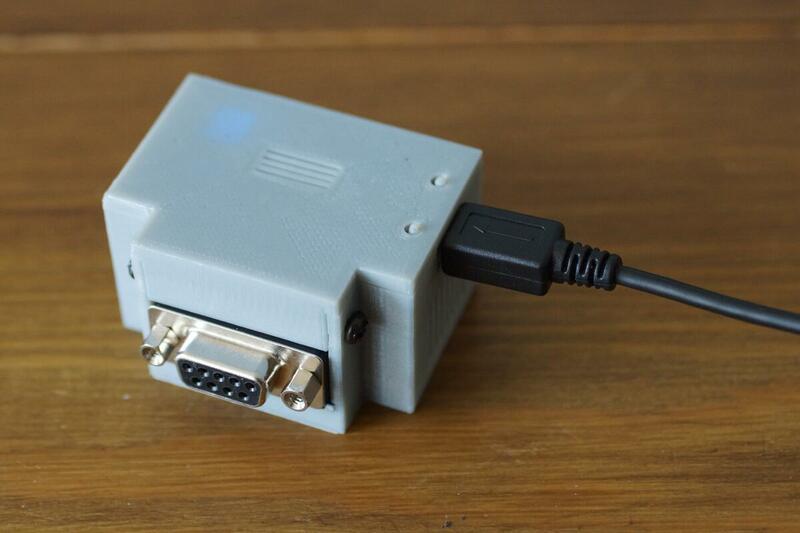 Simulant recently released a new product to enable WiFi on most old computers, servers and devices that have an rs232 serial port. To give more information about how our Retro Wifi SI (Hayes compatible wifi modem) can be used we will be posting a series of blog articles over the coming months about setting up this Wifi modem on older computers such as Atari, Commodore Amiga, PC IBM XT, 8bit Basic and CP/M machines, MS-DOS computers etc etc. There are so many old computers and hardware it is impossible to list them all, anything that could use a dialup modem back in its own era should work with our new Wifi modem. The Retro Wifi SI is basically a WiFi modem which (once plugged into an old computer) is seen as a dialup modem. 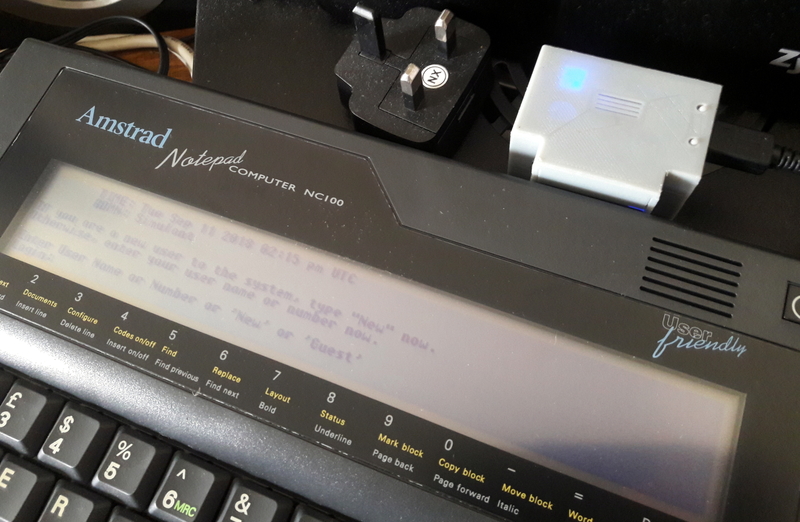 The idea is that the Retro Wifi SI emulates dialup over Wifi, giving the old computer internet access but without needing a phone line – the retro computer can connect straight to any Wifi router whether at home, in the office or even through a Wifi hotspot. There is still a lot of retro tech and vintage hardware in the world that can be recycled and put to good use, we believe all these old machines should not be disregarded when they can be hooked up to Wifi and the internet, giving them new functionality and purpose today. The Retro Wifi SI is even useful outside of the home or office. It can be used in factories and with industrial machinery to bring obsolete dialup hardware back into the present Wifi network. Granite Warehouse York are a leading supplier of Granite and Quartz worktops and kitchen work surfaces. Based between York and Selby, Granite Warehouse York provide Granite and Quartz worktops throughout Yorkshire at competitive prices. With a huge choice in their range of Granite and Quartz, Granite Warehouse York have every colour and style of worktop to fit any types of kitchen or work surface requirements. They provide full kitchen worktop design planning and measurement, visiting on-site before then preparing and cutting made to measure Granite and Quartz worktops in the Granite Warehouse. Once the kitchen worktops are cut, prepared and ready; the team at Granite Warehouse will then deliver and fit the finished Granite and Quartz Worktops at no extra charge. 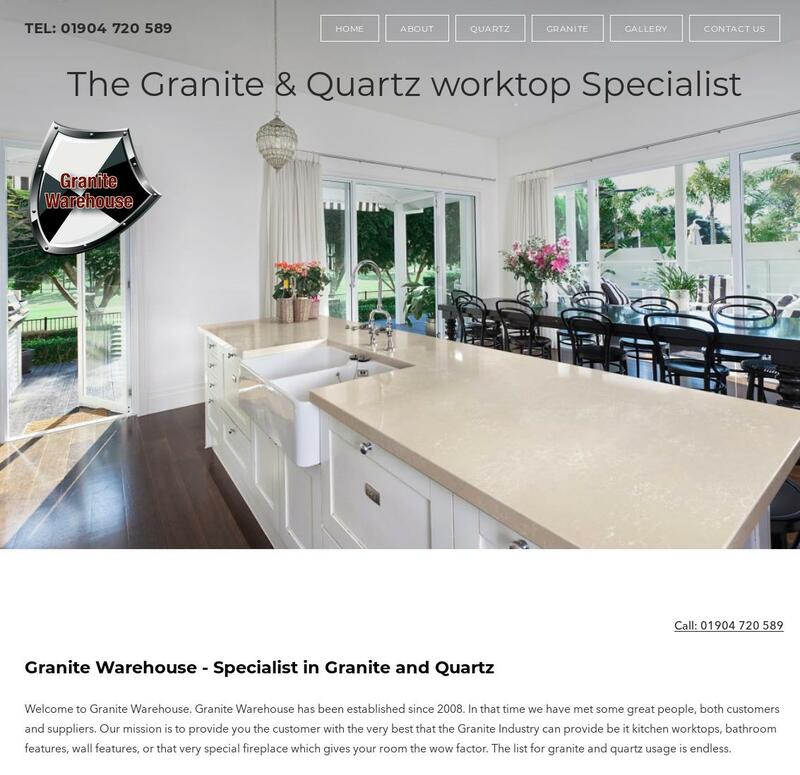 Granite Warehouse supply the finest quality quartz and granite work surfaces throughout the York and Selby area to hundreds of local businesses and for residential customers requiring kitchen worktops. As well as York and Selby, Granite Warehouse also design, cut, deliver and fit granite and quartz worktops right across Yorkshire in areas such as Harrogate, Malton, Beverley, Scarborough and Leeds. We recommend the Event Caterers Yorkshire Catering website for anyone looking for Yorkshire event caterers, whether for parties, weddings or gatherings. One of the best professional catering companies in Yorkshire, with many awards and testimonials to prove it; Event Caterers Yorkshire can be visited at www.eventcaterersyorkshire.catering. Or contact the Yorkshire event catering team to book your event or party catering throughout the region. Be Aesthetic Clinic Skincare York and Selby offer Dermal Fillers, Anti-wrinkle and other skincare treatments. Visit www.be-aestheticclinic.co.uk to book your skincare treatment now. 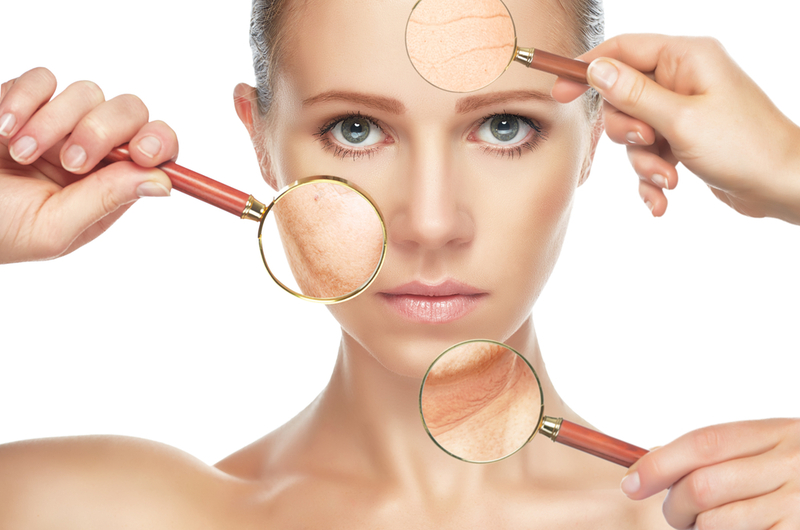 A free consultation and advice about the best skincare for your health and beauty is included. PA Hire York, Leeds & Yorkshire for all types of events – they will deliver and collect your equipment as well as offering short tutorials on how to use everything during setup. A full range of Yorkshire Audio and Visual equipment is available for hire. Visit www.hireyorkshire.co.uk for a free quote. New local Yorkshire broadband and phone telecoms provider Simulant hosting Yorkshire can really save your business money each month. Specialising in Business Fibre Broadband and fast ADSL2+ Broadband services, as well as telephone Landline Rental, ISDN and Leased Lines; Hosting Yorkshire have considerably cheaper call rates than most major providers including BT. Also offering Yorkshire Home Phone and Broadband too, there are no lengthy contracts (most are just 1-month rolling) and no hidden call connection charges. Monthly bills provide full itemised call summaries. Holmlea Guest House offer the complete York Bed and Breakfast package for visitors to this historic tourist destination in Yorkshire, England. If you’re thinking of visiting the city to take in the sights such as York Minster or the Medieval Shambles, or visiting for work or other reasons; Holmlea Guest House York is the perfect location to relax during your stay and easily access York city centre within a short walk from your accommodation. This family-run and owned York bed and breakfast serve fresh full-English or continental breakfasts each morning, as well as providing room service, comfy bed, ensuites and free parking and WiFi. The rooms are tastefully decorated to fit in with York’s rich culture but are modern and peaceful. York Bed and Breakfast or York Hotels? So if you usually stay in a York Hotel while on holiday or on a visit, why not try staying in a friendly and relaxing York bed and breakfast for a unique insight in the wonderful City of York. See www.yorkbedbreakfast.com/contact-us to book for for more information. Homlea Guest House are happy to help with your stay in York as well as take extra special care to make your stay in York welcoming and enjoyable. The York Wedding DJ service by DJ Ollie provides the very best in professional party DJ hire and wedding disco hire for the York and Leeds areas, as well as DJ hire across Yorkshire. If you’re planning a wedding event and looking for a York-based DJ with many year’s experience, then DJ Ollie of www.weddingdjyork.co.uk is the perfect DJ hire service. DJ Ollie not only provides an experienced wedding DJ but also offers full disco hire, PA, lighting and equipment required to make your wedding memorable and entertaining for guests. DJ Ollie started as a York DJ who always put the greatest care and professionalism into every DJ hire event or wedding party he performed at, building on this success and many year’s of events later he now provides a team of master DJs which can be hire and serve the entire Yorkshire region. From small York DJ roots, the Wedding DJ York service has grown to become one of Yorkshire’s most popular wedding DJ hire providers. Wood Fired Pizza Ovens may be based in Chesterfield (not strictly South Yorkshire currently! ), but they supply many local Yorkshire businesses and customers across the border with a complete range of Pizza Ovens, Masonry Barbecues, Portable Ovens and Kiln Dried fire wood. We highly recommend their fantastic range of products for both domestic garden Pizza Ovens and commercial Barbecue, Hog Roast and outside Pizza stoves. Visit Wood Fired Pizza Ovens online to buy online at: www.woodfired-pizza-oven.co.uk or for further information about their Pizza Ovens and BBQ products. Our featured post this week is for St Mary’s Guest House York who are one of the best York bed and breakfast accommodation providers. Situated in York City Centre right by the Museum Gardens, York St Mary’s Guest House offer competitively priced ensuite rooms, York hotel facilities and a friendly family-run service. With free parking and free wifi in the rooms, St Mary’s Bed and Breakfast is a fantastic place to stay for business, holidays in York or a York City Break. If you’re visiting York and looking for a hotel in a great location with breakfast included why visit http://www.yorkstmarysguesthouse.uk for the latest prices and room availability.